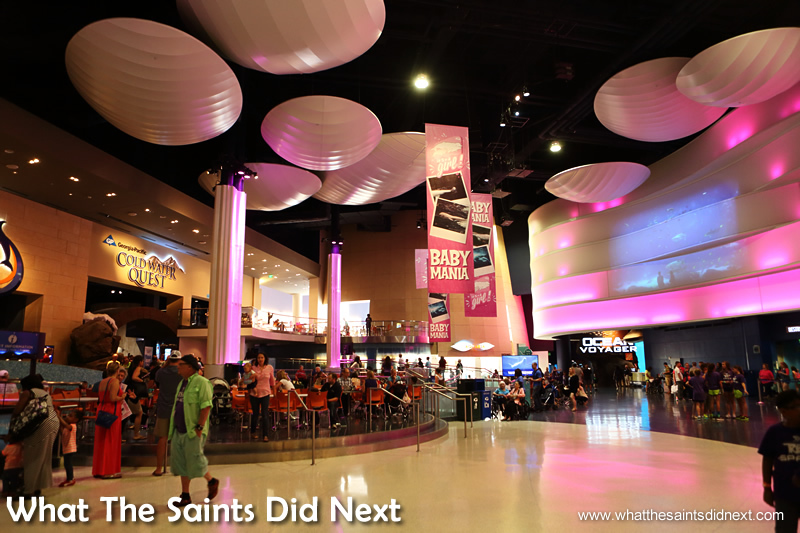 The largest aquarium in the world is the Georgia Aquarium in Atlanta, and judging by the people here it’s a big favourite for tourists like us visiting this US city. 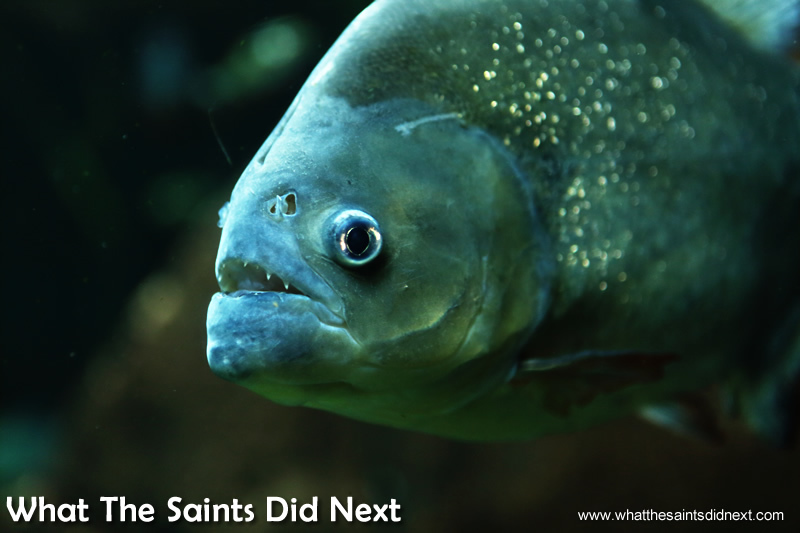 Watching fish is scientifically proven to be therapeutic, no matter the size of the tank. Standing in front of this massive glass window (19 x 8.5 metres) of a six-million-gallon tank, watching manta rays perform back flips and the famous Georgia Aquarium whale sharks glide by is certainly enchanting. 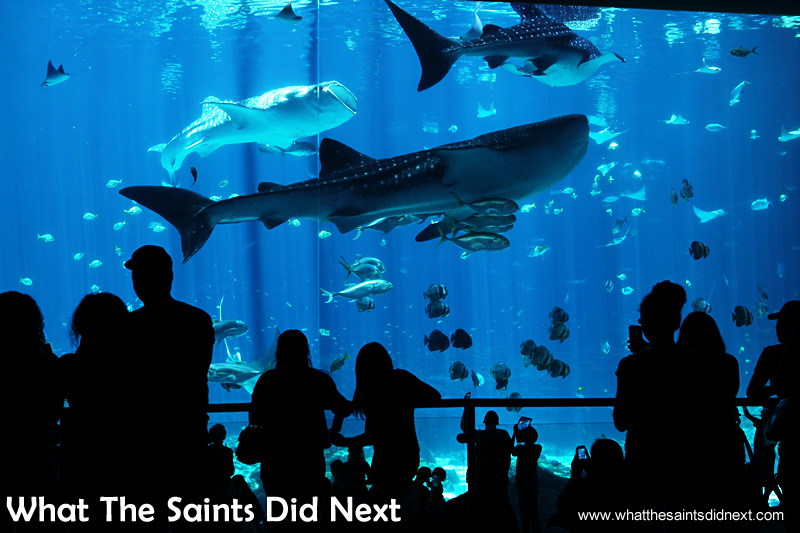 Visiting Atlanta and seeing the world’s biggest aquarium tank, home to the world’s largest fish is certainly a big ‘wow’ moment. Three of the Georgia Aquarium whale shark stars, grabbing visitors’ attention. The gigantic observation window on the side of the Atlanta Georgia Aquarium whale shark tank. Georgia Aquarium tickets are available at the door, but we were using the Atlanta CityPass which included World of Coca-Cola and Inside CNN, along with other attractions for the price of $73.25 + tax. However, if you were just on a one-off visit the Georgia Aquarium price of admission (info updated 2018) varies from $30.95 before 11am, to $26.95 after 4pm, these rates for everyone. Between the peak hours of 11am – 4pm, it’s different – $31.95 for adults, $27.95 for children and $29.95 for seniors. These are online prices if you purchase in advance. The Georgia Aquarium hours of opening vary between 8am – 9pm, it’s worth checking in advance. 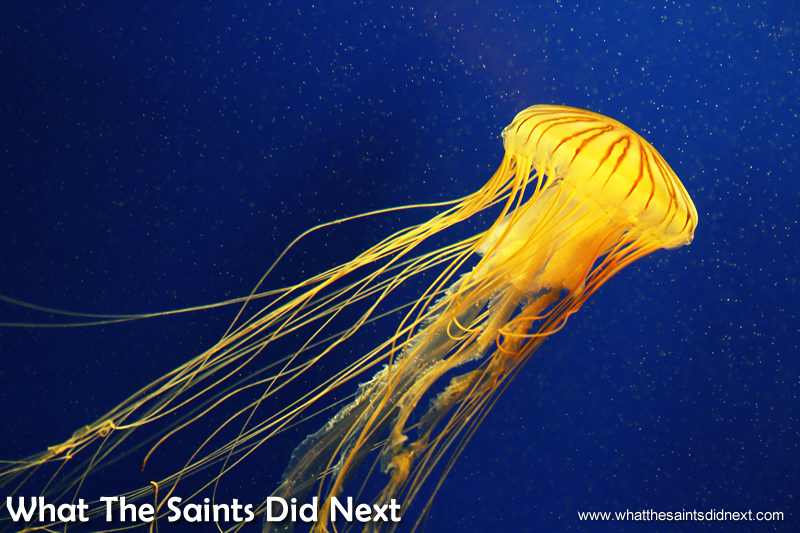 But it’s interesting to note the aquarium is open 365 days a year! Great value, for sure. It’s also good to know you can enjoy a lot of this city without spending a cent, as the Travelling Pinoys detailed with this great list of free things to do in Atlanta. 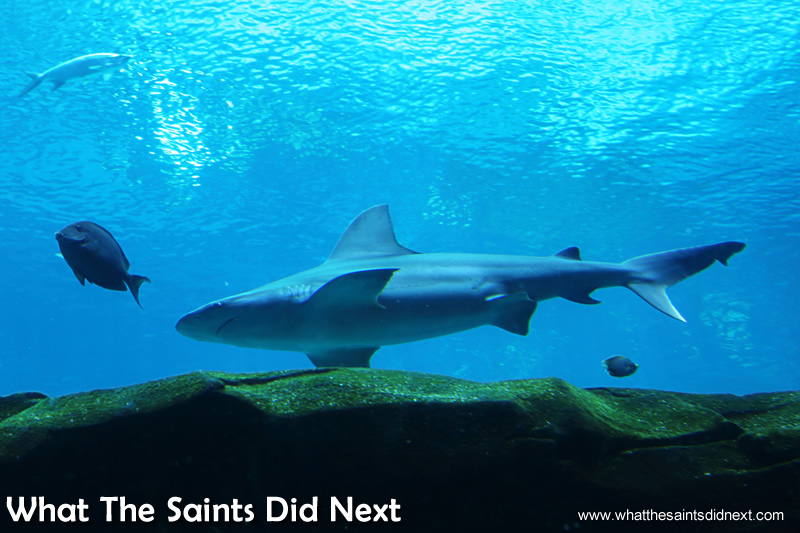 The Atlanta aquarium whale shark population is four, and they are undoubtedly the star attractions. Glass just two feet thick separates them from the wide-eyed youngsters who are clearly amazed by these gentle giants. It’s no surprise promotional Georgia Aquarium photos are dominated by whale sharks. Although, I can’t help but feel sad for these confined creatures, as my memory is fresh of swimming with their wild cousins. Just a few months ago we were lucky to swim with whale sharks off the coast of St Helena. 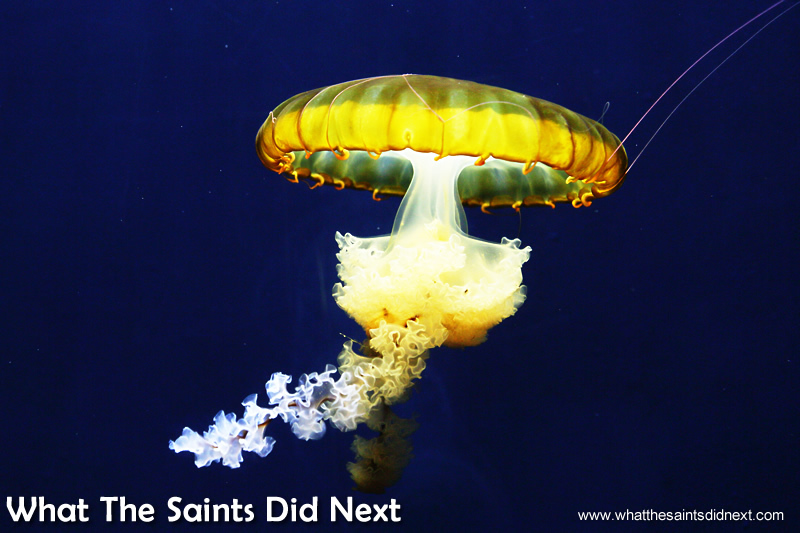 Those ones freely migrate vast oceans to feed and breed within their natural habitat. However, I do understand the integral role the Atlanta aquarium plays in educating and raising awareness of these beautiful creatures. The Aquarium whale sharks have been transported all the way from Taiwan where they were originally destined for the fish market. It is important to note, Taiwan have now banned the killing of whale sharks. 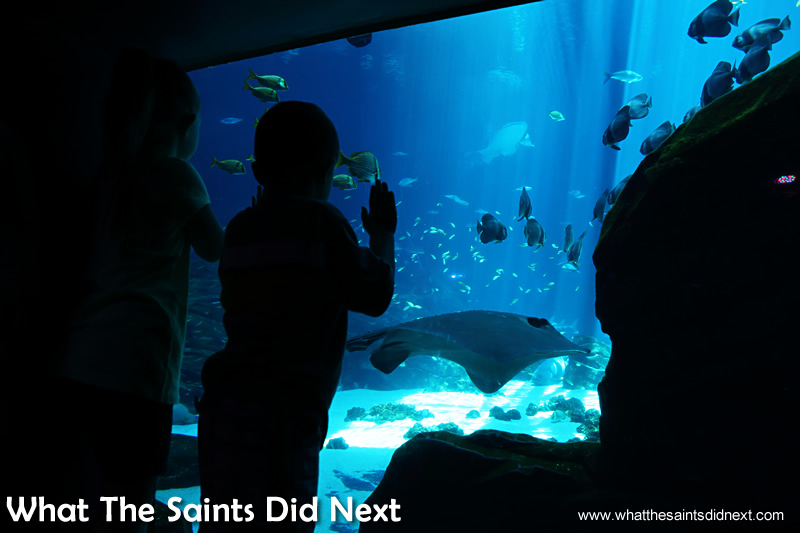 The best visitor attraction In Atlanta – A youngster is captivated by the giant fish at Georgia Aquarium. I also understand and appreciate concerted efforts by the aquarium in Atlanta in research and conservation worldwide of these beautiful animals. This includes on St Helena where we are only now realising our significant link in whale shark migratory habits. So, with this in mind and watching scores of children delighted at the opportunity to see a ‘real life’ whale shark is bittersweet. The Georgia Aquarium admission includes more unusual sea creatures too, including this Atlantic Sea Nettle display. The nettle’s long tentacles sting and capture prey. Food digests in heart-shaped gastric pouches on its underside. Range: Western Atlantic from New England to Florida and the Caribbean. A ‘flying’ turtle in the River Scout section of the Georgia Aquarium. Georgia Aquarium dolphins putting on a show for the youngsters outside the tank window. The common bottlenose dolphin which appears throughout the Atlantic, Pacific and Indian Oceans, are always popular with young visitors. 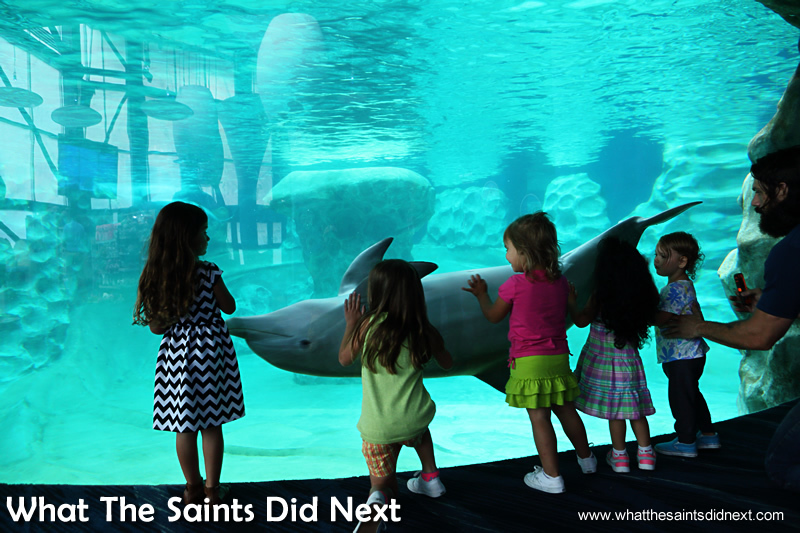 The Georgia Aquarium ticket price includes access to the AT&T Dolphin Celebration show. The trainers weave an educational theme into an entertaining show that demonstrates the creatures’ intelligence and agility. Seating is on a first come, first served basis. But, for anyone who’s never seen this animal up-close, the Georgia Aquarium dolphin show is not to be missed. The mammal’s sleek, spindle-shaped body reduces drag as it swims. About every two hours the dolphin sheds its outer skin layer, helping maintain a smooth surface. These adaptations make the bottlenose dolphin an efficient swimmer – it can reach speeds up to 18 miles per hour (29 km/h). Interesting facts like this are displayed on information boards throughout the Georgia Aquarium in Atlanta giving details about the fish on display, their origins and other fascinating titbits. For instance, did you know, sharks do not sleep like we do? Instead they have active and restful periods. They have to swim constantly to move water over their gills to breathe. Unfortunately, the Georgia Aquarium beluga whale section was temporarily closed during our visit because of the illness and eventual death of one of the calves. 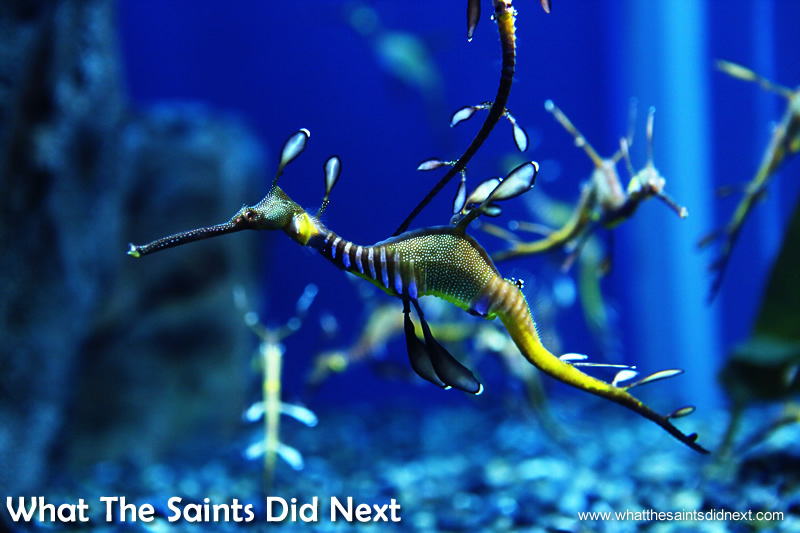 The Atlanta aquarium hours of opening vary between 8am – 9pm, check online for the latest times ahead of a visit. Inside the main hall. Touring through the ‘River Scout’ exhibits. The “tail” of a Sea Dragon… The male will carry the eggs on his tail until hatching. Getting lost in the crowd is easy when you look like seaweed. 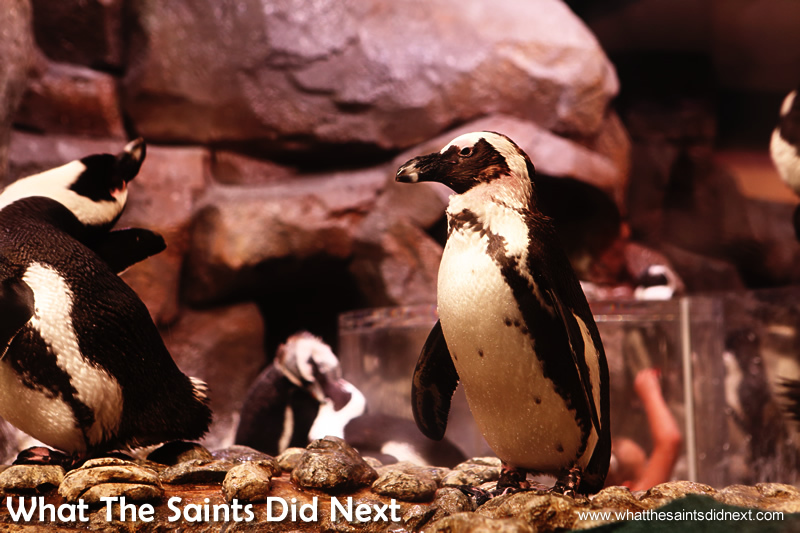 The best visitor attraction In Atlanta – The Penguins of the World. Penguins inside the ‘Cold Water Quest’ exhibit. Taking the glass tunnel stroll under the Aquarium fish. Georgia Aquarium, best visitor attraction In Atlanta. Range: Amazon river basin and northeastern South America. Diet: insects, worms and fish – Maximum size: 13” (33.3cm) – Lean in close to see their teeth. They’re as sharp as they look – and powered by strong, fast jaws. A piranha can snap its teeth shut so fast, the other fish don’t stand a chance. 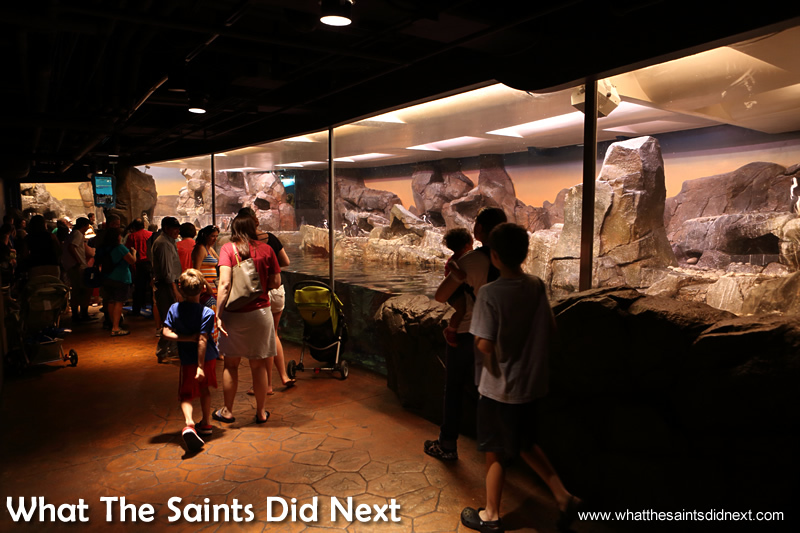 Another of the huge, panoramic displays in the Georgia Aquarium which captivates both young and old visitors. Georgia Aquarium sharks are always a popular attraction. The large array of tanks and viewing windows make Georgia Aquarium one of the best in the world. 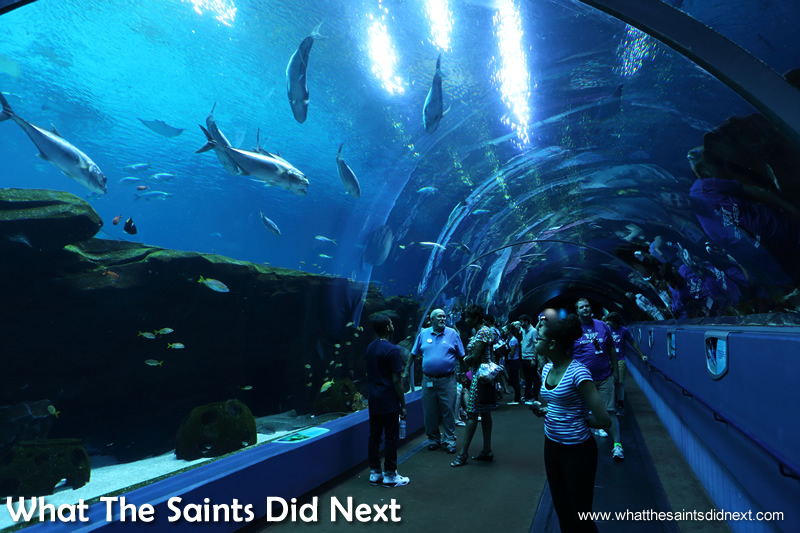 How does visiting Atlanta Georgia compare to the rest of the world’s aquariums? 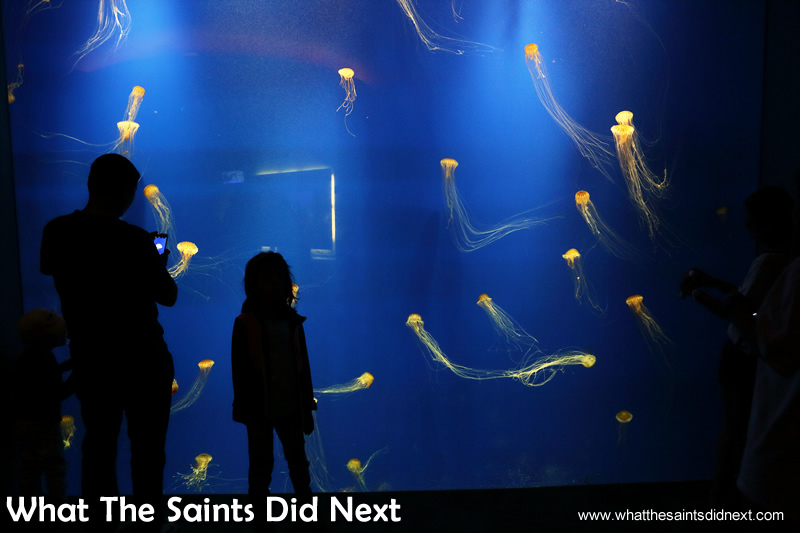 The title of biggest aquarium in the world generates plenty of debate. 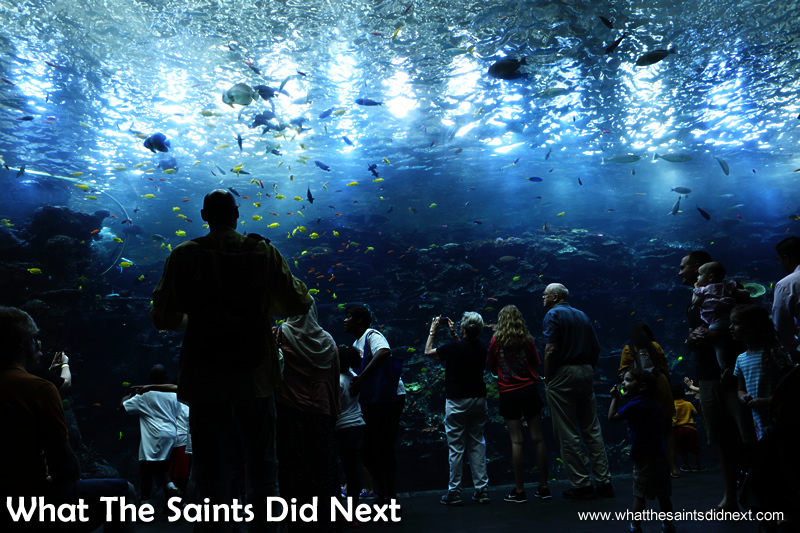 From a little research we can see there are other bigger aquarium complexes in the world, mostly in Asia. 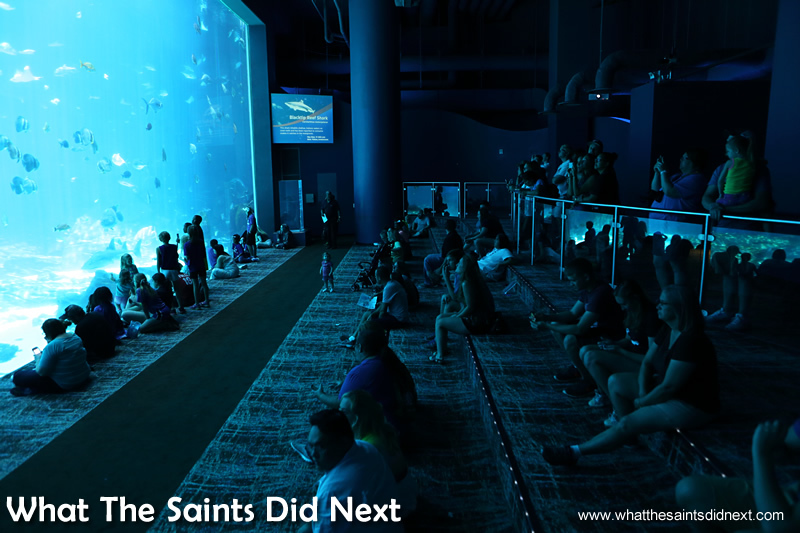 However, using a single tank size as the determining factor, Georgia Aquarium comes out on top. 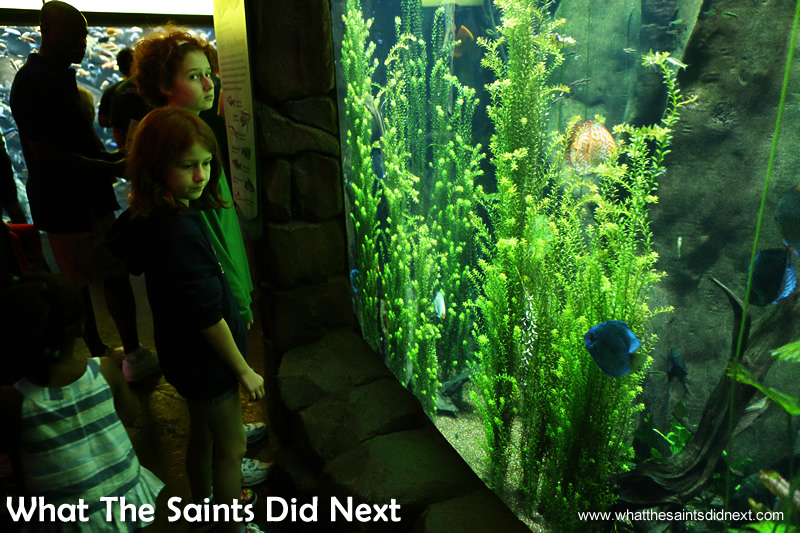 For WTSDN this was definitely an excellent day out; our Atlanta aquarium tickets were excellent value. 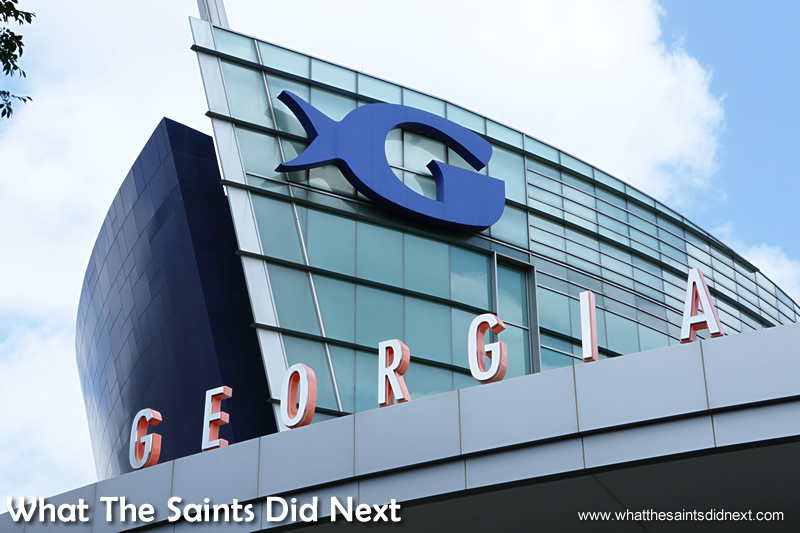 The Georgia Aquarium in Downtown Atlanta, probably the best visitor attraction in Atlanta. Thanks Andrea, it’s an amazing place to visit. Never knew there were so many interesting creatures underwater.